The exterior landscaping features Autumn Gold Retaining Block which is regionally quarried in the northwest corner of Montana. 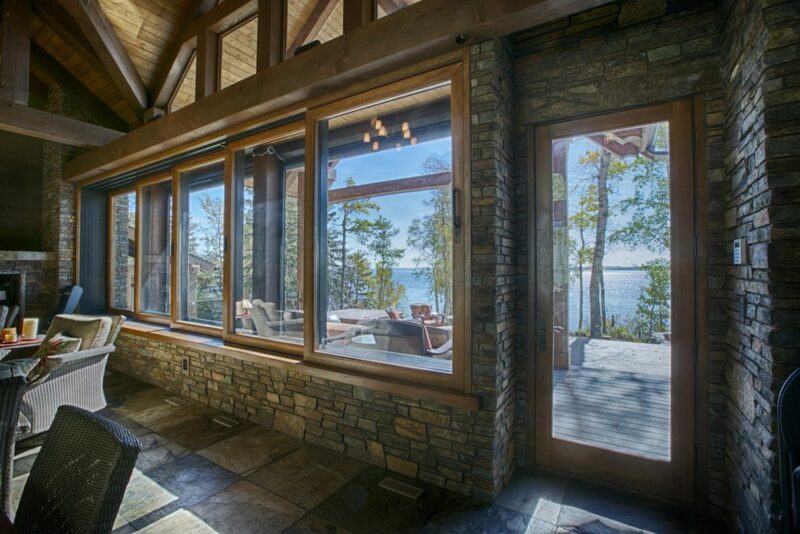 The flagstone pathways guide you through an endless outdoor living area that backs onto the lake. Whether you’re sitting by the fire in the cold winter months or enjoying the sun by the lake in the summer, this estate residence provides endless hours of enjoyment for every season. K2 Stone’s Montana product line includes Autumn Flame. Autumn Flame is a narrow linear ledge stone. It comes in dark reds, browns, greys and copper colors. It is available in both thin stone flats and corners as well as full bed ledge stone.